Dan Shure, SEO expert and online business strategist, joins our show in this special episode of The Justin Stenstrom Show. 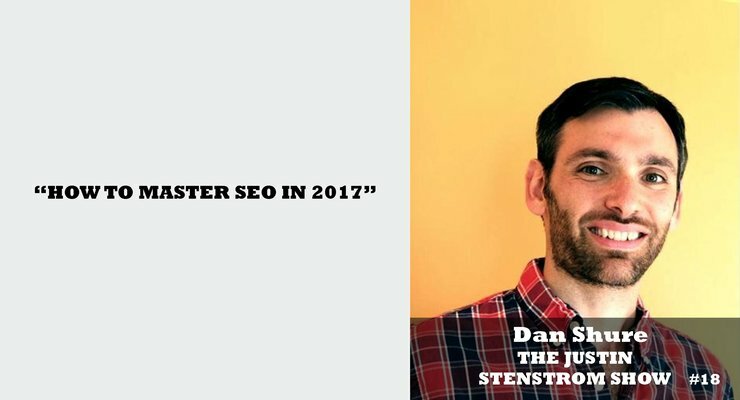 Dan talks about the best strategies for search engine optimization in 2017 and beyond. He shares with us his best tips for optimizing your website, getting more traffic, and ultimately making more money. If you’re wondering what to do this year and in the years to come regarding SEO and skyrocketing your website’s visitors, check this episode out now!